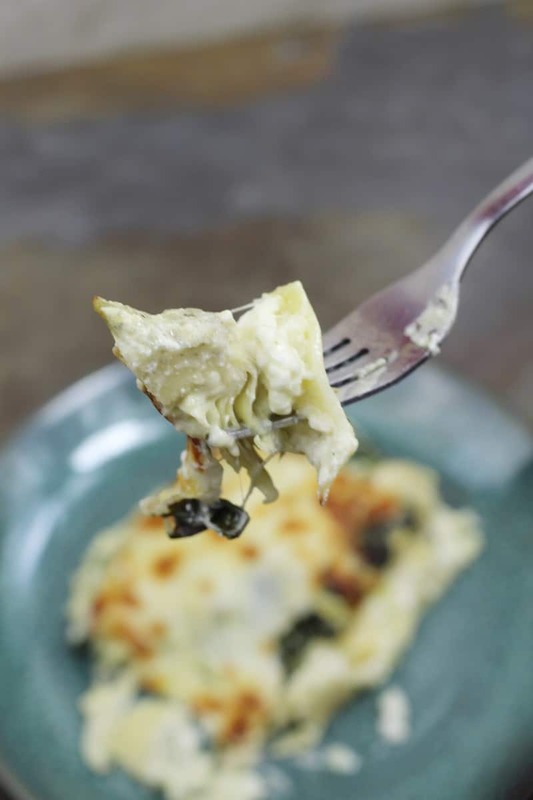 Last night was magical, we had Instant Pot Chicken Spinach Artichoke Lasagna. 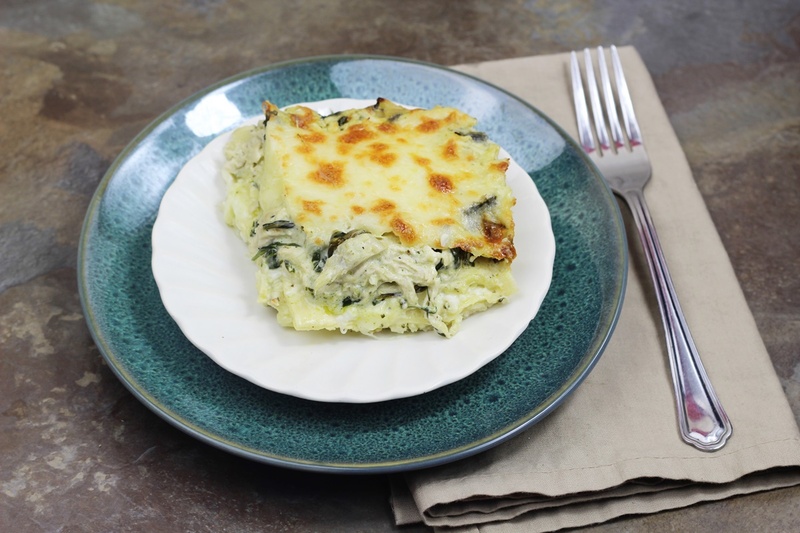 I was inspired to make this after my best friend found a recipe for a spinach artichoke lasagna, and wanted to do it for Sunday dinner. The recipe was amazing, but I wanted to make it my own. And boy did I! 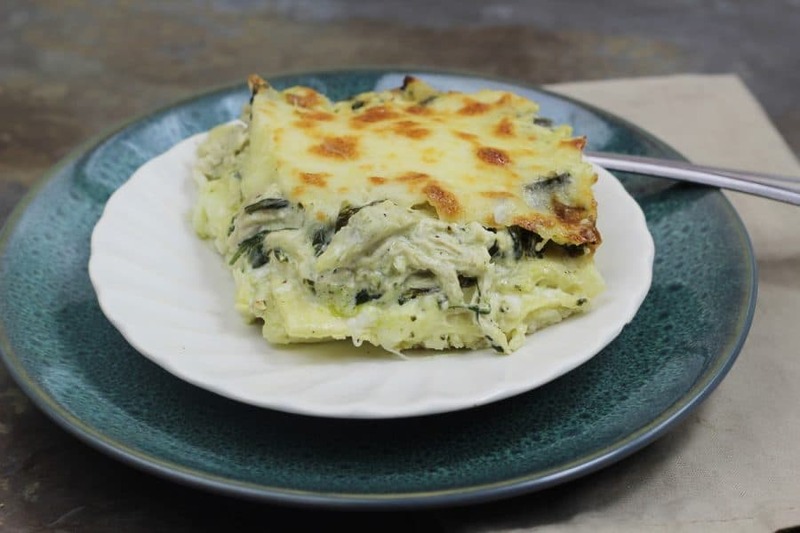 I made a sauce, loosely using my recipe for Instant Pot Alfredo Sauce in my Chicken Spinach Artichoke Lasagna. The original recipe was good but I felt like it needed a few things like some parsley, more garlic, maybe some basil. It just needed a flavor pop. And it turned out amazing! I was kind of leery of how the spinach would mesh with the parsley and basil, but it worked out so amazingly, the flavors together were phenomenal. We made this recipe in both the Instant Pot and in the oven, both tasted great of course. I could have eaten the mixture alone, it was so good! 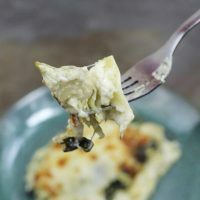 I was thinking that I will maybe adapt a recipe for a spinach artichoke dip, which I am sure would be amazing with some ciabatta garlic bread. I’m making my mouth water just thinking about it lol. I will definitely be making this again, maybe as a freezer meal. 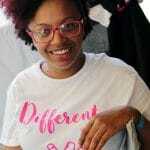 Make sure you join Food Blogs and Recipes and Instant Pot Recipes and Talk on Facebook for more great recipes. This recipe is an amazing mix of flavors. Nothing like you have ever tasted before. This Instant Pot Chicken Spinach Artichoke Lasagna will be a big hit at dinner time, or even for gatherings. When cream cheese is melted add in parmesan, give a good stir and slowly add in heavy cream. In a separate pot or clean the one you previously did place the inner pot in, hit saute and add remaining butter. When butter has melted add garlic and saute about 3 minutes then add all spinach. Cook spinach till done, stirring consistently. When done remove spinach and drain the water. Assemble your lasagna, sauce, cheese, noodles, cottage cheese until you cant fit anymore, ending with cheese.. I used the pyrex dish, you can find a link to it in the recipe notes. Don't fill too high or the cheese will bubble over. Place 1 cup of water in the bottom of a clean inner pot and your trivet. I use one that has handles, the link is in the notes. Cook on manual high pressure for 20 minutes and let NR for 10 minutes. Remove from pot and place in the oven under the broiler for about 5 minutes until cheese has browned. Allow to cool a few minutes and serve with garlic bread. This recipe was enough to do 2 lasagnas in the Pyrex bowls.